Mission-critical data is often stored in SQL Server, Oracle, Sybase, Exchange Server, Access and other databases that are maintained on networked fileservers. Relational and object-oriented database management technologies are fundamental to modern IT systems, often underpinning the lifeblood applications run by the entire corporation. Individual media in database servers suffer from the same failure points as disk drives in personal computers and workstations. Experienced system administrators and database administrators know that a relational or object-oriented database environment is fragile unless supported by a comprehensive and well-tested backup plan. Seagate Recovery Services specializes in making inaccessible data accessible again, recovering data from the most complex database configurations. SRS can also make inaccessible data accessible again for all xbase products such as dBase, FoxPro Productivity Applications Microsoft Office (including all versions of Word, Excel and Powerpoint Mail Server and Client Applications), Microsoft Exchange and Outlook Applications, and email systems conforming to the UNIX mbox format, such as Eudora and Netscape. Because servers are utilized for mission-critical operations, customers usually need to get their data back quickly and securely. SRS’ offerings include options for priority handling, on-site data recovery, critical 24/7 service, as well as remote data recovery and special customized solutions. Our goal is to get client’s data back as quick as possible and in the most accommodating way. SRS supports the majority of currently used server operating systems, including Microsoft, Apple, different flavors of UNIX and Linux, AIX, Netware, and many more. Seagate Recovery Services is going virtual and offers the full spectrum of data recovery options for VMware (ESX/ESXi and vSphere), Microsoft (Hyper-V), and other hypervisor systems. Virtual Disk container corruption – full support for VMDK and VHD containers including chained and sparse containers, snapshots, missing/corrupted base files, snapshots or chain links, and corrupted container metadata. Corrupted guest file systems inside those Virtual Disk containers. 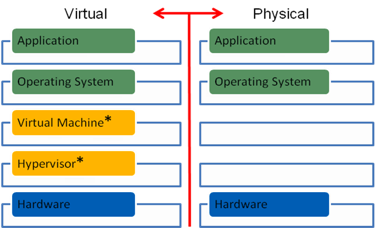 Corrupted and/or reformatted VMFS volumes (VMFS version 2, 3 and 5), and other hypervisor-level file systems. Deleted Virtual Disk container files from VMFS volumes and other hypervisor-level file systems. Microsoft Outlook PST exceeding 2GB in size.